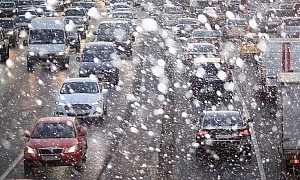 Dash Cams And The Law: What You Need To Know - Which? Where do dash cams stand in the eyes of the law? What can you do with your footage, and when can you use it? We answer these questions and more. We reveal what you need to know about owning and using a dash cam. Dash cams are talked about in the newspapers, insurers mention them in their Ts and Cs, and they're even popping up in UK court cases. But where do dash cams really stand in the eyes of the law? Read on to find out all you need to know. Already made up your mind to buy one? 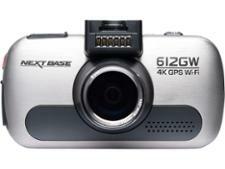 Jump straight to the best dash cams recommended by Which? experts. Yes, dash cams are legal on UK roads. You don't need any special permission to use them, nor do you need to notify anybody if you're fitting one in your car. Simply plug in your dash cam and that's it. The one factor that may invalidate your dash cam use is the way in which it's fitted. It's extremely important that your dash cam cannot in any way be deemed to be obstructing your field of vision while driving. If the police police decide that it's positioned unsafely, you could be in for a fine and footage recorded on it could be rendered inadmissible in court. To make sure you stay on the right side of the law, see how to properly install a dash cam. Absolutely. Dash cams can provide valuable information in a court case that would otherwise have been left to testimony and conjecture. The first jail UK sentence handed out off the back of incriminating dash cam footage was in 2015. The dangerous driver wasn't caught red-handed by police, but instead was only arrested after police were shown dash cam footage from a concerned citizen. In 2017 alone dash cam footage helped bring to justice a Humberside hit-and-runner, a Yorkshire dangerous driver, a West Yorkshire road rage assault, a Surrey roadside scam and a West Midlands carjacking - and these are just the cases that we know of. You'll often see dash cam footage on local news websites as communities use it to work on tracking down law-breakers. Police have also begun using dash cam footage to aid in pleas for witnesses. Your footage can only be used as evidence if it actually shows up details like number plates. We reveal the Don't Buy dash cams you should avoid. If you share your car as a part of a company scheme, for example, you must inform those you share it with of the dash cam's installation. This is because most dash cams record sound, while others even video record the inside of the vehicle. If someone else who has use of your car is unaware they are being recorded, that is a serious breach of privacy. It's up to you to let them know. This goes doubly for those in the taxi industry. Cabbies, minicab drivers, coach drivers and the like who choose to use a dash cam must inform every passenger who enters their vehicle that a dash cam is in use, or face potentially harsh legal consequences. Most people's prime motive behind picking up a dash cam is to protect themselves legally should something untoward happen. However, you should also beware that the same footage can be used against you. Should you be pulled over by the police for a motoring violation they can ask you to present your dash cam footage for review. For example, a debate about your speed can be quickly settled by footage from a dash cam with GPS tracking. Similarly, if you take another motorist to court over an incident, there's nothing to say the judge won't hold your own footage against you should you be in the wrong. Deleting your own footage could potentially be a serious offence, too. So don't tamper with it if the police confront you. The national dash cam safety portal allows owners of any brand of dash cam to submit footage quickly and easily to the relevant authorities. 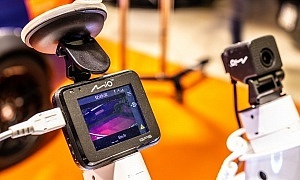 It was launched in July 2018 by dash cam manufacturer Nextbase, in collaboration with the regional constabularies of England and Wales. The website presents you with a map of England and Wales divided by county. If you click on the county where the incident you wish to report occurred, it will redirect you to a dedicated report page for the region. 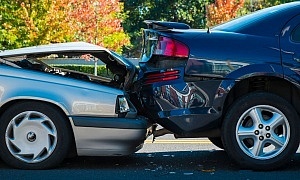 It doesn't have to be anything as serious as a multi-vehicle pile-up or a hit and run - even dangerous driving or excessive speeding can be reported. It shouldn't take you any longer than 20 minutes. Some local police forces haven't set up their bespoke submission pages yet. 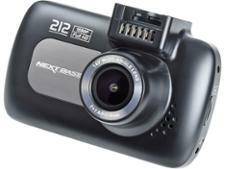 In these instances you will be redirected to a page on Nextbase's site that allows you to fill out all the details and log the footage ready to submit when the relevant constabulary has its page up and running. A word of warning: by using this service you will be filling out an official police report, so you should treat it as such. There's also a very, very small chance that you'll be required to attend a court hearing should it be deemed necessary - but this is only in an extreme minority of cases. You won't have to surrender your dash cam or hard drive to the police, either, as all they need is a copy of the footage. 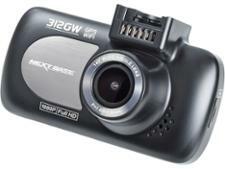 Can you use your dash cam when you drive abroad? In some countries there are restrictions on dash cams and/or the video footage you record using one. This is usually due to privacy laws that restrict video or image capture of members of the public without their consent. So you should check the laws of the country or countries you'll be driving in. Find out more about how to hire a car abroad.